I will respond to your ticket # 4451306. According to our supplier, some of the values are not within specification, therefore there will be a technician working on this case on or before 25/10 by close of business, we will keep you posted as soon as we have an update. Topic: Slow browsing fast torrents? Re: Slow browsing fast torrents? Estimated ETR will be 10 working days. Your information has been sent to Sensis, usually they will take ten to fourteen days to activate the listing. Could you please PM me your service details, so that I will be able to check with our supplier. casio7131 wrote: (but still waiting for the phone number to reappear in the online white pages). Could you please PM me your service number so that I can follow up online white pages. Topic: when dialing I either get engaged or restricted to thai mob. Topic: Plan change from ADSL to ADSL2+ hasn't effected speeds. 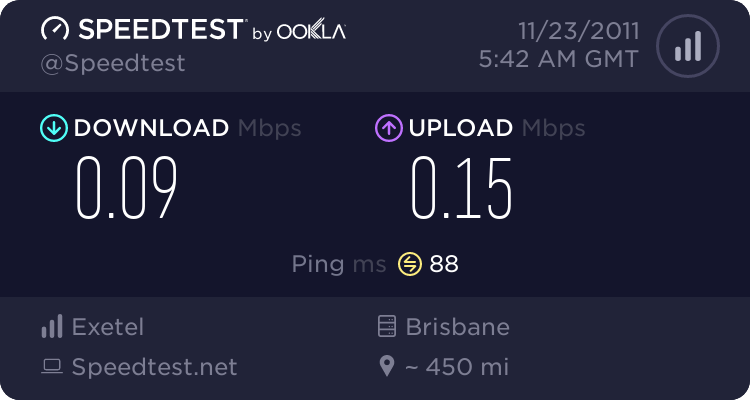 Re: Plan change from ADSL to ADSL2+ hasn't effected speeds. I am checking with the provisioning team, will provide an update shortly. Topic: Patch a new telephone wire? Re: Patch a new telephone wire? Usually you can engage with an ACMA Registered Cabler to complete your internal wiring issue, you may find them from yellow pages. On 30th I could see some disconnections on your ADSL service, but so far the session is good, if you’re experiencing latency issue, please provide some ping test results to the server that your connecting. I will ask someone from sales person to respond to your second query.